The EU chief was in Sofia for the inaugural College of Commissioners held with the Bulgarian government to mark the start of its first ever EU presidency since joining the bloc in 2007. Addressing reporters, Juncker also said it would be the task of the new Commission, after next year’s European elections, to sway the public opinion in member states in favour of accepting new members from a region that had been engulfed in ethnic wars in the 1990s. Bulgaria, which holds the rotating presidency of the EU Council from January to June, has made reviving Western Balkans’ EU prospects a top priority and will hold a summit with EU and Balkan leaders in Sofia on 17 May.. 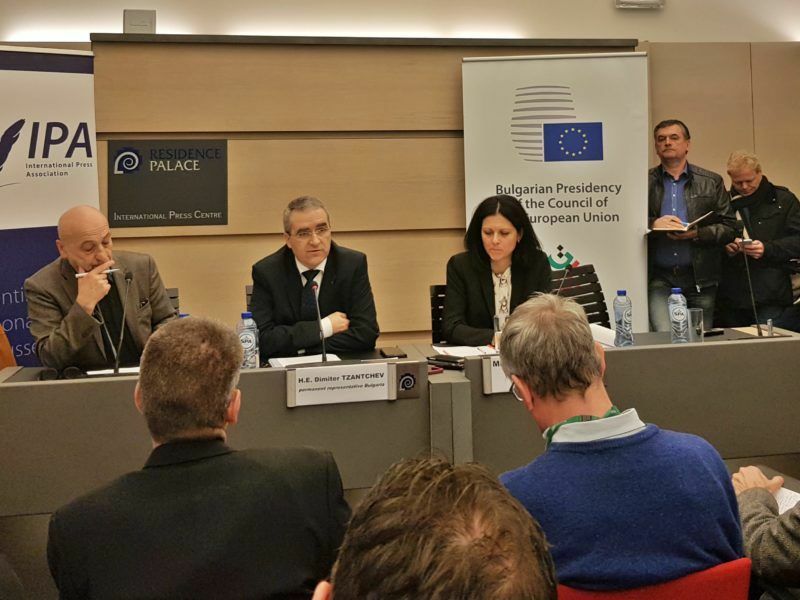 The Bulgarian EU Presidency sees a possible risk of Western Balkan hopefuls “looking elsewhere” while the bloc hesitates to move forward with their accession, the Bulgarian Ambassador to the EU told Brussels journalists on Monday (8 January). “We will be having a Western Balkans summit and I will also be taking a look at the expectations of all the various Western Balkan players on the ground myself,” Juncker said. The renewed focus on the region, which has made some progress in the past year in resolving disputes with neighbours and embraced a more reform-friendly agenda, coincides with concerns about the potential for fresh hostilities and about the growing interest of non-EU countries to gain a foothold there. “It is very important that the Western Balkans have a clear European perspective, otherwise there is danger that we may be looking at events that hark back to the 1990s. We certainly don’t want that,” said Juncker. The Commission chief has been criticised for telling the Balkan countries that there would be no enlargement during his Commission’s 2014-2019 term. Some critics suggest that his curt comment has effectively curbed the Balkan countries’ reform drive. On Friday, Juncker sought to impress that the situation has changed. Former Enlargement Commissioner Štefan Füle told an audience today (7 December) that if the EU distances itself from the Western Balkans, other geopolitical players will immediately seize the opportunity to assert their influence over the region. It was Juncker who marked a shift in the EU’s Balkan policy when he said in September that a fresh European perspective was needed for the region and that the Commission would work on it. But Juncker was also mindful on Friday of the need to address the issues of the EU’s enlargement fatigue and internal troubles, which have curbed appetite for further enlargement. “It will be up to the mandate period of the next Commission, from November 2019 until November 2024, to push member states and public opinion in that direction,” he said. 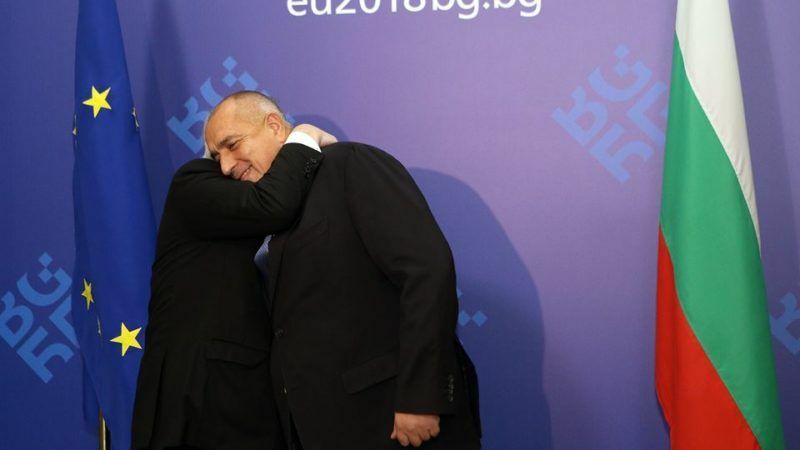 Standing next to “my friend”, Bulgarian Prime Minister Boyko Borissov, Juncker dismissed criticism that corruption in Bulgaria was rampant and insisted once again that the country should be allowed the passport-free Schengen area. “I will fully speak out against the simplistic idea whereby Bulgaria is corrupt throughout. 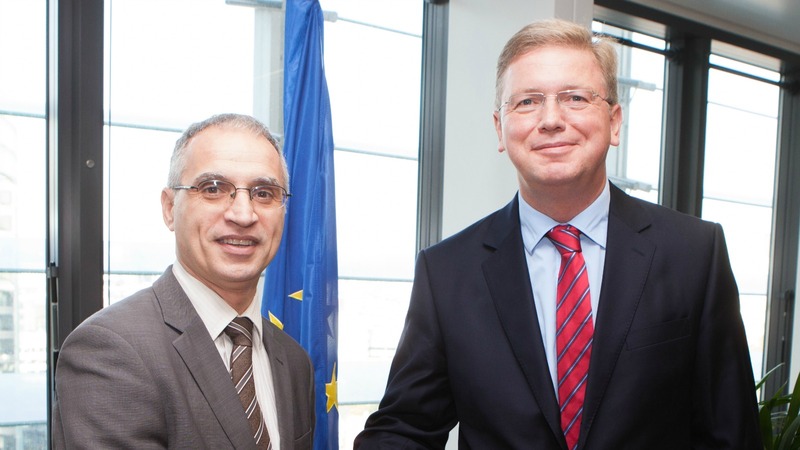 there is a corruption problem in Bulgaria but I do know that Buglaria has made significant progress in combatting corruption over the past few years.I am very confident they will be able to resolve this problem,” he concluded. 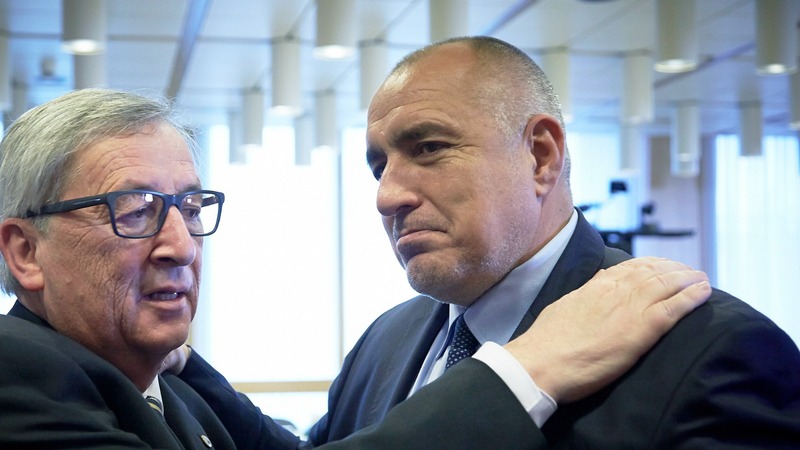 Borissov welcomed the Commission’s plan to disburse funds for improving infrastructure in the Balkans, including transport, as a sign of renewed EU engagement. 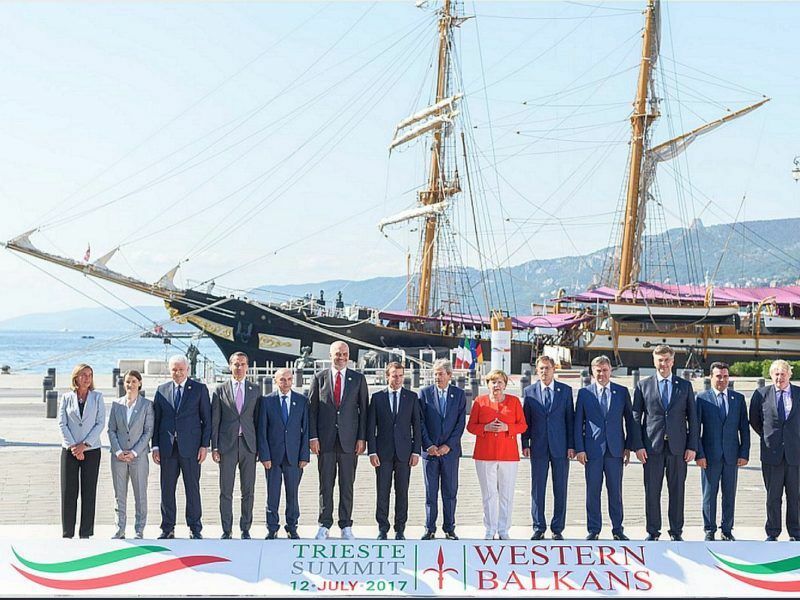 This week’s summit of the six Western Balkans EU hopefuls and EU leaders fell somewhat short of political expectations but produced concrete results in financing regional transport projects, most notably a railway link between the capitals of Macedonia and Bulgaria. Juncker was over-generous with compliments to Sofia and Bucharest on the occasion of his State of the Union speech. As his term comes to an end next year, and as he is not seeking re-election, Juncker is capitalising on Bulgaria and Romania (EU President in the first half of 2019) to help him prepare his political legacy. Pro-European EU members Bulgaria and Romania were overwhelmed with attention in Commission President’s Jean-Claude Juncker State of the Union speech today (13 September). In contrast, Poland, l‘enfant terrible of the EU, was not mentioned a single time. The situation is much worse in Italy, Spain. In the Mediterranean, the courts are glutted with political cases. In Spain: 70% of GDP was pocketed in this last 10 years and courts and prisons are overfilled with ex-politicians. In Italy the situation is nearly as bad and getting worse. In Malta journalist who dare to speak are murdered.